Tony has been in Real Estate for over 20 years. First Licensed in California, he worked at Century 21, Jeffries Lydon, which was ranked 22nd in the nation. 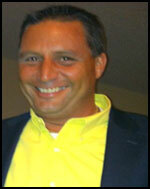 Andrews moved to Florida in 1993, received his brokers license in 1995 and established Andrews and Associates in 1997. Specializing in Commercial and Residential sales, Tony is a top producer in the Sarasota area with sales over $20 million dollars. Whether buying or selling, Tony will give you the type of service you expect from a top producer. 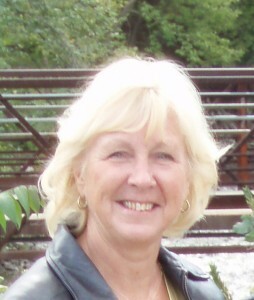 Andrews & Associates Realty, Inc.
Stacey is a native Floridian, born and raised in Sarasota. While building/purchasing her first home at the age of 20, she discovered her love of real estate. After extensive experience in banking and sales, she finally pursued a career in real estate in 2001 obtained her real estate license. 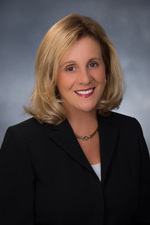 In 2003, she obtained her Broker’s license, then in 2004 opened her own company, Pierce Properties, Inc. She grew her company with over $76M in sales before joining Andrews & Associates Realty, Inc. in 2016 to work alongside her new husband and his great agents. Stacey brings 17 years of experience, both with listing and selling residential properties in Sarasota/Manatee counties, as well as managing agents, thus training in techniques and contracts. Her enthusiasm and knowledge of the area make her a logical choice when selecting a Realtor who can best represent you on either side of the transaction. I was born in Wimbledon, England (1971) and grew up in Sarasota where I have lived since 1979.I have been licensed since 2000 and worked with Tony Andrews at Andrews & Associates for 13 years as his longest reining employee. I have earned the Top Producer status with this company 3 times, and been in the Million Dollar Club for all 13 years. I specialize in primary Residential homes and Condo’s in the Gulf Coast area, and specifically familiar with Siesta Key (Rated the #1 Beach in the country!). Recent sales include golfing communities such as Stoneybrook and Heritage Oaks. Outside of real estate I love to golf, play tennis and enjoy outdoor activities. I have been married to my wife, Jenn, (also a licensed Realtor) for 10 years and have been blessed with 2 sons, Charlie and Samuel. Jim has been a Realtor in Sarasota since 1992 specializing in commercial and waterfront properties. A graduate of Fordham University, Jim began his career in New York City with an international public accounting firm. He earned his CPA certificate in 1968. He was later employed as the Chief Financial Officer of large advertising agencies in the Big Apple. For many years he was listed in Who’s Who In America. Jim and his wife, Delfina, moved to Sarasota in 1982. Since then he has been actively involved with many civic, governmental, and environmental organizations. Jim became a Realtor in 1992. His first sale was a waterfront property and he adopted that market segment as his specialty. With his financial background, Jim also gravitated to the commercial sector, primarily industrial and office properties. 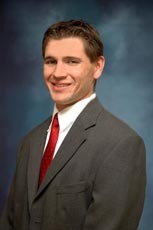 Jim joined Andrews & Associates in 2008. He currently heads the commercial division and is available for consultation. Call Jim for his professional approach to the local real estate market, for his financial savvy and for his dedication to the best interest of his clients. Craig comes from a blood line of Realtors. Both his mother and father were practicing Realtors when he decided to major in Real Estate at the University of Florida. 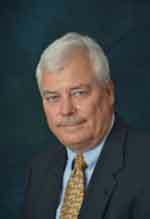 He started his career in Central Florida specializing in commercial and agricultural land deals in the late 80’s. He then transitioned into senior living facilities acquisitions and feasibility for a regional healthcare provider in Virginia. Upon returning to Florida in the late 90’s, he continued his work in senior living along with acting as COO in a Sarasota based institutional pharmacy until late 2014. Craig now is working as a full-time Realtor using his knowledge and back-ground from 20+ years in the rapidly expanding senior living industry. He is working with senior living developers and operators throughout Florida with site selection and existing facility acquisitions. You can count on his knowledge and integrity when dealing with any type of Real Estate transaction. A realtor since 2003, Darren brings his marketing expertise in real estate to Andrews and Associates. 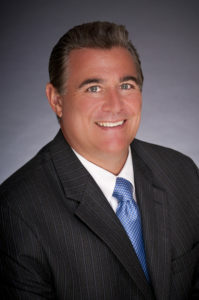 He is a native of Ohio, where his work in the design and marketing field gave him a rich background to be applied to the Sarasota and Lakewood Ranch real estate market.His experience in negotiating and closing real estate transactions will prove to be an invaluable asset to his customers. He understands what it takes to provide the ultimate customer experience, and prides himself on the ability to develop long lasting trustworthy relationships, and strives to achieve the home buying goals of every customer. It is Darren’s utmost desire to make the process of buying or selling a home a seamless and pleasurable experience. Darrell lives in Venice, Florida with his wife Carolyn and four children – Joe, Connor, Parker and Sydney. He was born in Alexandria, Virginia, grew up in northern New Jersey and has lived in Maryland, Pennsylvania and Puerto Rico. A Navy Veteran, Darrell is an accomplished sales executive with a proven track record with leading Fortune 1000 companies. Darrell relocated to the Sarasota area 22 years ago and quickly established his mark as a well-known musician and local favorite, frequently performing at the landmark Crow’s Nest Restaurant in Venice. Darrell has been a real estate professional since 2005 and recently joined the Andrews & Associates sale team with an unyielding commitment to understanding his client’s needs and delivering results. Commercial land/buildings as well as residential homes. 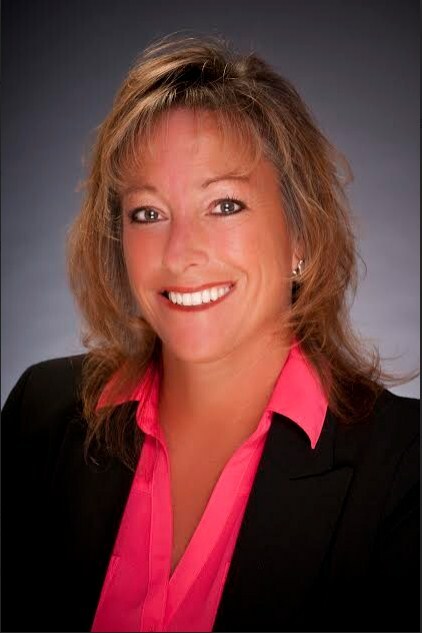 Leanne is currently focusing on the residential sales and rental markets in the Sarasota area. She previously was an Entrepreneur starting up/running several small businesses since 1990, including: Fat Free Cookie company, Leanne’s No Fat Delights, Fitness Instructor/Personal Trainer, Matchmaker- “Finding You the Right One”, and Personal Shopper/Party Planner- “Forget Me Not”. Her greatest passion is being a mom of a beautiful 5 year old!! She’s also a wife, daughter, sister & good friend. She’s very active in her church, a school volunteer and animal advocate! Her second passion is loving animals and trying to find those left behind (homeless and abandoned) good homes! Her life’s fulfillment is in helping and encouraging others, she takes great pride in all that she does and treats every client as if they were her only client! Debi specializes in representing clients in the sale and purchase of single-family home and income properties in the Sarasota area. With 25+ years experience, she prides herself with delivering exceptional results and is always available to help before, during, and after the sale. Loyal clientele, personal referrals and repeat business formed the foundation of Debi’s career. TPC Prestancia Golf Club, Sarasota Association of Realtors, and National Association of Realtors. Let Debi guide you to your personal needs and help you achieve your dream. Ernie Parisi is a well-known 20+ year resident of Sarasota. After dedicating nearly 20 years to the luxury car business in Orlando Florida, Ernie, his wife Debi and their two children, relocated to Sarasota. His prior experience providing professional service and catering to clients translated into immediate success. As the operating partner for two of the area’s largest volume new car franchises for 14 years, his commitment to loyal customers and repeat/referral business is a top priority. After leaving daily operations of the retail auto dealer business, Ernie continued to provide strategic support to the industry through his own company Pegasus Communications LLC and specialized in marketing and sales. Encouraged by family, friends, and associates, Ernie brings his passion for helping people and providing exceptional service to the Real Estate Industry. Nancy is a native Floridian, born and raised in the Miami area. Prior to her move to Sarasota in 2003 she lived in the Fort Lauderdale area for twelve years. She has two grown children — one in Oregon and another in Colorado. Nancy has a long background of office management and human resources/employee benefits administration for diverse businesses. An excellent listener, Nancy focuses on her clients’ needs and goals from their perspective, providing professional and personalized real estate services. Whether as a buyer or seller of residential real estate, you will not feel that you are just another customer on a conveyor belt when Nancy is representing your interests. For the past 25 years A. Andre resided in Sarasota, along with Aleksandra, wife of 43 years. Both of their children run their own businesses in Sarasota. As a Latvian immigrant, A. Andre has a high tolerance for foreigners and older folks! He is very active in the boating community and teaches safe boating classes for both the Sarasota and Venice Power Squadrons. His on the water experience goes from the Lower Florida keys to Tarpon Springs. An Ohio State Grad from the College Agriculture serves him well with the retiring farmer community! Specializing in investment properties and residences, he brings unequalied integrity to this business. Dawn moved to Sarasota in 1989 from Grosse Pointe Woods, Michigan. Her husband and son are both paramedics in the area; her daughter and other son both work in the Emergency Room at a local hospital. moving to this area she worked as an administrator for a Structured Settlement Company, those major clients were Ford Motor and General Motors. More currently she worked with a local Workers’ Compensation Insurance Company as a Marketing Administrator for the past 15 years. As well as her Real Estate license, she also holds a 2-20 Property & Casualty Insurance license. 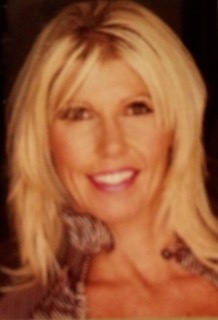 Dawn looks forward to helping you with all of your real estate needs. Craig was born in Huntington, New York and lived there until 1998 when he began his attendance at Florida State University. Upon graduation with a bachelors in Criminology and Finance, he moved to Columbus, Ohio for a short stint before realizing that he missed the warm Florida weather too much. 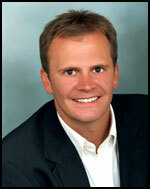 Craig has been in Sarasota ever since working as a Real Estate agent for his many customers. Whether buying or selling your home, Craig will be there to walk you through the difficult processes and work in your best interests to get the price you desire. Call Craig today and allow his extensive knowledge of the Sarasota market place to help put you in your next home.